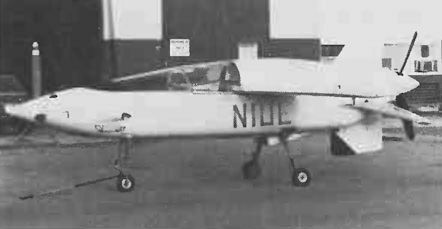 First flown on 25 July 1977, the DG-1 is a custom-built single-seat Unlimited Class racing monoplane of unorthodox design. Power is provided by two Mazda RX-3 rotary engines in pusher and tractor positions. It will also be used in an attempt to break the world speed record for propeller-driven aircraft.